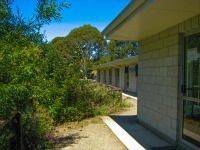 The bunkrooms are all multiple-bunk rooms, and are all close to bathroom and kitchen facilities and come carpeted and heated. You will need to provide your own bedding. 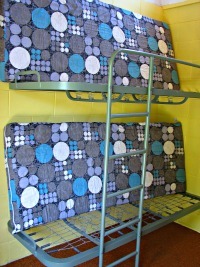 Each Bunk is equipped with a sprung base, and a foam mattress. You will be required to supply your own bedding. Sheets, pillows and blankets are NOT provided. A room with a view!!! 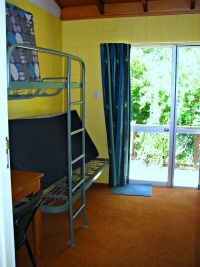 All rooms have their own access / egress, and are clean and tidy upon arrival. You will need to book to ensure availability. BUNKS COST AN EXTRA $40. PER BUNK PER FESTIVAL WEEKEND. To ensure availability of bunks, please make sure you select the bunk option on the registration form.